Germany is generally a very right-owner-friendly jurisdiction. This is true in particular in the field of trademark law. The registration process as well as the enforcement regime are generally very efficient and effective. The German Patent and Trademark Office (DPMA) operates smoothly and in a predictable manner; the same applies to German courts, which are experienced, reliable and quick. Therefore, overall, Germany is considered to be one of the world's leading jurisdictions when it comes to trademark protection. German national trademarks are governed by the German Trademark Act.2 All national trademark applications and registrations are handled by the DPMA. Germany is a member of the European Union and, thus, also a Member State of the EU trademark (EUTM) system. Consequently, EUTMs can be applied for and are enforceable in Germany. EUTMs exist in parallel with German national marks and provide additional protection. There are, however, a couple of distinct differences in the mechanics of German national trademarks as opposed to EUTMs, which have a number of important practical consequences. For example, German national trademarks follow an 'opposition-after-registration' regime, meaning that opposition proceedings are only possible after the trademark has already been registered. This is an important difference from the EUTM system, which follows a 'registration-after-opposition' regime. This means that a German trademark can already be enforced while opposition proceedings are still pending. Furthermore, a cancellation action against a German national trademark does not have any effect on infringement proceedings based on that trademark. This is another difference from the EUTM system, under which a cancellation action against the trademark will normally result in subsequent infringement proceedings based on that trademark having to be suspended until the final decision in the cancellation proceedings (Article 132, EUTM regulations). Therefore, it is often advisable to file for a German national trademark and an EUTM at the same time. In addition to the above, Germany is a member of the Madrid System, which means that international registrations can be applied for and extended to Germany. The DPMA is responsible for examining German national trademark applications. The decisions made by the DPMA can be reviewed by the German Federal Patent Court (BPatG). The decisions of the BPatG can be further reviewed by the German Federal Supreme Court (BGH), but only if a further appeal is admitted by the BPatG. This happens only in a few cases. Therefore, decisions made by the BPatG very often cannot be appealed any further and, thus, stand as the final decision on various trademark law-related issues. Company names in Germany follow a different regime. They are also protected by the German Trademark Act, but are not handled by the DPMA. However, company names and other trade names (such as company logos) come into effect by commencing their use in commerce. No registration is required. An infringement of a company name can therefore be asserted in the civil courts, which also review whether a company name right was acquired in the first place. Domain names are handled by the German registration agency for domain names (DENIC), which is responsible for managing all domain names with the '.de' top-level domain. Trademarks, company names and domain names are all enforced before the German civil courts in civil litigation proceedings. There is no WIPO Uniform Domain Name Dispute Resolution Policy3 regime for .de domain names. In civil proceedings, the regional court is usually the first instance body. The decisions made by the regional court can be reviewed in appeal proceedings before the higher regional court. Decisions made by the higher regional court can be reviewed in a further legal appeal (revision) by the BGH. However, revision proceedings have to be admitted by the court of appeal (i.e., the higher regional court). If they are not admitted by the court of appeal, the appellant has the option of filing a complaint against the non-admission of revision proceedings. This is a major difference to office proceedings, where this option is not available. In preliminary injunction proceedings, the court of appeal stage is always the final stage and no further appeal to the BGH is possible. The legal basis for the protection of trademarks, trade names and similar intellectual property rights in Germany are the EUTM regulations and the German Trademark Act. For the purposes of this article we will focus on the German national regime. The German Trademark Act protects both registered and unregistered trademarks. Registered trademarks can be obtained by filing trademark applications, and are registered after examination by the DPMA. Unregistered trademark protection can be obtained by using a sign in commerce if the trademark has acquired secondary meaning through extensive use in commerce. Company names and other trade names are also protected by the Act, but they do not require secondary meaning. They already come into existence with their first use in commerce. However, protection may be limited to the scope of operation of the company in terms of territory, time and field of business. The Act also protects collective trademarks and geographic indications. At the time of writing, there is no national German regime on certification marks. However, legislation is in progress to implement a national regime, which is expected to come into force in 2018. Germany also awards special protection to well-known trademarks. However, there is no special registration available for well-known trademarks. 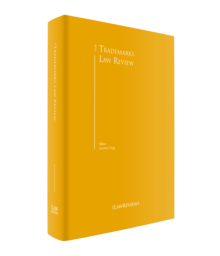 The well-known quality of a trademark must be asserted and proven in infringement proceedings and assessed by the courts on a case-by-case basis. Domain names are handled by the DENIC. They can be applied for by anyone if the domain name is still available. The only formal requirement is that either the domain name owner or the administrative contact must be based in Germany. Trademarks can be registered in Germany if they are inherently distinctive of the goods and services for which protection is sought. If a trademark is not distinctive, it can acquire distinctiveness if more than 50 per cent of German consumers identify it as an indication of origin. The DPMA does not review the register for possible prior rights of third parties. It is entirely the applicant's obligation to make sure that no conflicting prior rights are registered. The owners of prior rights often monitor their trademarks (for example, with the help of watch services), and may file an opposition or even assert an infringement claim if confusingly similar later marks are filed. Opposition proceedings can be filed by owners of prior rights up to three months after an application has been made. Invalidity proceedings based on absolute grounds can be filed by any third party up to 10 years after registration. Beyond this deadline, invalidity proceedings can only be brought on a very limited number of grounds. Revocation proceedings based on non-use can also be filed by any third party. These proceedings can be filed either at the DPMA or at the civil court. There is no time limit for filing revocation proceedings. If they are filed at the DPMA and the trademark owner opposes the trademark revocation, the contentious revocation proceedings are in any event referred to the civil court. There is legislation in progress to change that rule and to assign all revocation proceedings exclusively to the DPMA. However, as of August 2018, this legislation has not yet been implemented, though it may happen in late 2018. All appeals against the decisions of the DPMA are handled by the BPatG. There are some exceptions for smaller, formal appeals, whereby the DPMA can review its own decisions before cases are handed over to the BPatG. As mentioned above, the BPatG is normally the final instance in office proceedings unless a further appeal to the BGH is admitted, which happens only in exceptional cases. There is a discussion as to whether this rule should be changed and a regime similar to that in civil proceedings should be implemented. However, it is too early to predict whether such legislative changes may happen. Trademark matters in Germany are handled by the regional courts. There are specialised trademark courts in the various states, which are exclusively competent in trademark matters. Therefore, these trademark courts are highly specialised and generally very knowledgeable in trademark law. However, there is no obligation to file trademark matters with these courts. There are no formal pretrial requirements. However, normally, a warning letter is sent by the right owner to the alleged infringer before a civil action is filed. After the warning letter, the parties in most cases discuss the option for an amicable settlement before the right owner decides whether to file an infringement action. Having said that, not sending a warning letter to the opponent does not make a court action inadmissible, although it may have an impact on the costs of the proceedings, that is, if the opponent accepts the claims immediately, the right owner has to bear the costs. All claims based on trademarks, unfair competition, company names, domain names, etc. are enforced in the same type of proceedings. The trademark courts are competent in all these claims, which are often asserted next to each other. The proceedings are regular civil proceedings, in which civil claims such as cease-and-desist claims, information and damage claims are asserted. The opponent can then file a cancellation action as a counter-attack. Germany is a civil law country and therefore litigation also follows a classic civil law standard. There are no discovery or disclosure proceedings in Germany. Each party has to submit all facts and evidence that are favourable to their position. If a circumstance is unknown to the plaintiff (e.g., because it is a secret of the defendant), the plaintiff normally does not have the option of forcing the defendant to reveal that secret in the litigation. The proceedings are initiated by the plaintiff filing a written complaint to the competent court, which should contain all facts and evidence as well as legal arguments to support the claim. The defendant then has the opportunity to file a written statement of defence. After that, usually another round of written submissions is exchanged before an oral hearing takes place. In that hearing, the factual and legal arguments are discussed once again, and the court usually gives its preliminary assessment. A couple of weeks after the hearing, the court issues a written judgment. The first instance proceedings commonly take between nine and 12 months. Generally, the losing party has to bear the costs of the proceedings, which are, however, limited to the statutory fees. In most cases the statutory fees are lower than the actual costs of the litigation. If the decision is split, so that both the plaintiff and the defendant win a part of the action, the court will also order a corresponding split of the costs. The most important claim in infringement proceedings is generally considered to be the cease-and-desist claim. German courts can also order a variety of other remedies, including a claim for damages, a claim for information, a claim for destruction of infringing products and a claim for recall. Claims for damages in trademark matters in Germany are not as attractive as in other jurisdictions. This is mainly due to the fact that there is no regime on punitive damages in Germany, so high awards of damages are the exception rather than the rule. An important new development is that the BGH in some recent decisions has held that the cease-and-desist claim also implies an obligation for the defendant to recall the infringing products from the trade.4 This even applies in preliminary injunction proceedings. The future will show whether this new case law will stand up to the scrutiny of, for example, the European Court of Justice. Trademark infringements in Germany are also criminal offences and, thus, can be actioned with the help of the police and public prosecutors. However, since civil proceedings are so effective in Germany, criminal enforcement is applied only in special cases. Criminal enforcement options are attractive if the fact-finding and securing of evidence is very difficult for the plaintiff, in particular in cases of counterfeiting and organised crime. Germany also has a very efficient customs seizure regime, with highly qualified and motivated specialists at the customs authorities. The legal basis is predominantly the EU Product Piracy Regulation, which governs the traffic of goods from outside the EU into the Union and vice versa. There is also a national regime on customs seizures, which covers the traffic of goods within the EU. However, because there are no border controls within the EU under the Schengen Treaty, the practical relevance of this national border seizure regime is limited. Certainly the most controversial new development in German case law is on the question of whether cease-and-desist claims also imply an obligation of the defendant to recall the allegedly infringing products from the trade channels. In four recent decisions,5 the BGH has held that a cease-and-desist claim does not only oblige the defendant to discontinue the infringing behaviour, but includes the obligation for its customers to be asked to remove the products from sale and return them to the defendant. This applies also to products over which the defendant no longer has factual or legal control and where the defendant has no legal claim to demand them back from its customers. According to the BGH, this rule shall also apply in preliminary injunction proceedings, and in ex parte proceedings where the defendant was not even heard before the court issued its injunction. This new case law has received a lot of criticism in German legal literature and even from lower courts, some of which have refused to apply the new regime. Several legal arguments are being raised against this new case law; for example, that it adds confusion to independent legal claims (cease-and-desist claims, and claim for recall), which each have their own prerequisites and are governed by separate legal provisions. Another central challenge is that a claim for recall is normally not ordered in preliminary injunction proceedings, so there is a systematic inconsistency if a cease-and-desist claim granted in preliminary proceedings should automatically also include obligations to perform a recall. No further developments in this case law are foreseen at this stage. In particular, it will be interesting to see whether the European Court of Justice will support it. There is at the very least the question as to whether a cease-and-desist claim based on an EUTM includes a (pan-European) obligation to recall the product should the claim be referred to the European Court of Justice. There is due to be a reform of the German Trademark Act in the near future, in which many of the latest developments on a European level are very likely to be mirrored in the German Trademark Act. This will probably include, for example, implementation of the rules on certification marks in the German system. A further harmonisation of the German system with the EUTM system is also expected; for example, in relation to a switch of the German system to a registration-after-opposition regime, or by transferring the entire revocation proceedings to the DPMA. Legislation is in process and is expected to be implemented at some point in 2018. The aforementioned developments on the question of cease-and-desist claims and claims for recall as they pertain to infringement proceedings will also be highly interesting. Another area of interest is online infringement. In recent years, trading of counterfeit and other infringing goods on the internet has increased significantly. This is mainly due to the fact that many trading platforms, such as Alibaba, have become more sophisticated and easily accessible to small merchants and even private individuals. Therefore, we are seeing an increasing number of offers of infringing products on internet platforms, such as eBay and Amazon Marketplace, which are posted directly by sellers from other countries. This poses significant legal challenges, in particular because it can be very difficult to enforce the claim directly against the seller. This often entails the question of whether the platform operators can be held liable for the infringing offers. Case law on the liability of platform operators is under constant development, both on a German and European level. The platform operators naturally want to protect their business model and seek to avoid any liability for what is happening on their platforms. The right owners, on the other hand, want to avoid having to pursue every individual infringing offer by way of notice and take-down mechanics, for example. Balancing these commercial interests and the legal arguments of all involved parties will certainly be one of the main challenges in the coming years for the courts and legislative bodies in Germany and the EU. These questions are also highly relevant for operators of social media platforms. Social media have transformed into commercial platforms in recent years, with brand owners promoting and sometimes even distributing their products via social media. Therefore, social media networks nowadays are facing essentially the same questions as operators of online marketplaces. In addition, social media platforms usually have to deal with other legal issues regarding data protection, defamation and freedom of speech, and some concerning privacy and personality rights. Independent of the substantive legal questions connected with these phenomena, there is always the question of venue. German courts generally take the view that they can action an infringement if it is (also) 'targeted at the German market'. However, the question as to whether a specific content on the internet is actually targeted at the German market is not always clear and in most cases requires a pretty detailed analysis of the specific facts on a case-by-case basis. This burdens the right owner with the risk that a court might ultimately find that it does not have jurisdiction over a special form of online infringement. This risk does not only mean that the right owner might not succeed with the infringement action, but also that the right owner may have to bear the cost of the entire proceedings, simply because the court – after a sophisticated review of the facts of the case – came to the conclusion that the infringement at stake was not, in its view, targeted at the German market. In fact, German courts take a rather generous view on this question, but the remaining uncertainties are still significant for the right owners, ultimately leading to many right owners being hesitant about enforcing their rights in cases of online infringements. 1 Richard Dissmann is a partner at Bird & Bird LLP. 2 Gesetz über den Schutz von Marken und sonstigen Kennzeichen (Markengesetz – MarkenG) 1994, as revised in 2013. 4 BGH, decision of 19 November 2015, Docket No. I ZR 109/14 – Hot Sox; BGH, decision of 29 September 2016, Docket No. I ZB 34/15 – Rückruf von RESCUE-Produkten. ; BGH, decision of 4 May 2017, Docket No. I ZR 208/15 – Luftentfeuchter; BGH, decision of 11 October 2017, Docket No. I ZB 96/16 – Produkte zur Wundversorgung.